If you’re interested in free clothes pickup services in Atlanta, Georgia, you’ll want to learn more about American Kidney Services. As a registered 501(c)3 charitable organization, we accept donations and give all net proceeds to the American Kidney Fund. 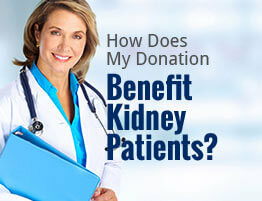 In turn, the American Kidney Fund provides financial assistance to patients with kidney disease. They also offer programs and services that benefit caregivers, healthcare professionals, and others who play vital roles in helping patients with renal disease. If you prefer not to use our free clothes pickup service, you can leave your donations in any of our drop boxes around town. Alternatively, you can also visit a local Value Village location to drop off any items you want to donate to American Kidney Services. Regardless of whether you take advantage of our free clothes pickup or decide to donate through a different method, you can feel good knowing that your unwanted belongings will go towards helping those who are battling a serious illness. If you have any questions about the types of donations we accept in Atlanta, GA, or want to learn more about how American Kidney Services helps those with renal disease, contact us today.